Readers whom have been following my “Can a feudal era General and famed military strategist act as a modern day Cupid?” know I have a close tie to the town of Tarui. 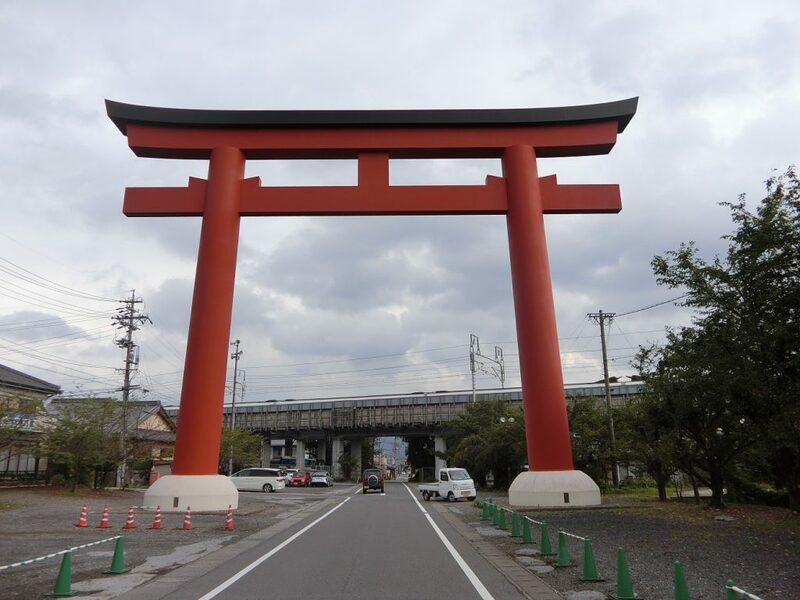 During my frequent visits there, I kept on noticing this HUGE torii gate visible on the other side of town. 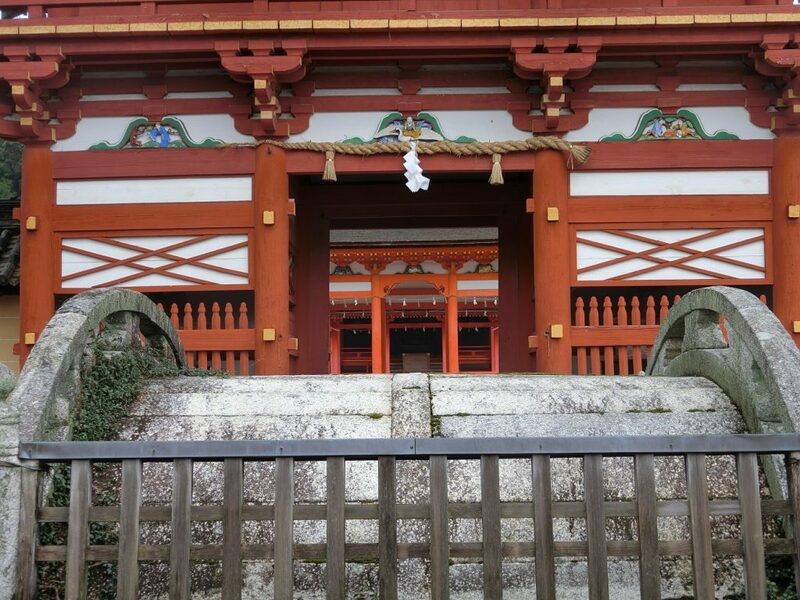 I asked around to find out it was the torii gate for Nangu Taisha (grand shrine). 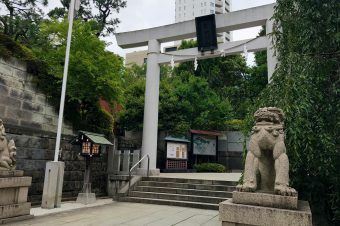 Figuring a shrine sporting such a huge torii gate had to be pretty awesome and religiously significant, on a recent trip to view the Tarui Parade (please see Episode Seven of the “feudal era General” series) I arranged via JTAST to visit the shrine and see what it is all about. 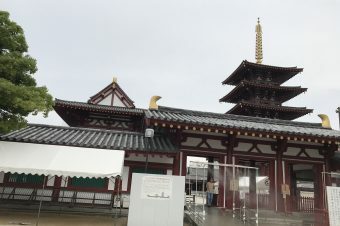 About all I could find on the web was the shrine was established by Emperor Jinmu (660-585BCE), the original buildings burned down during the Battle of Sekigahara in 1600 and the shrine was reconstructed by the Tokugawa Shogunate in 1642. 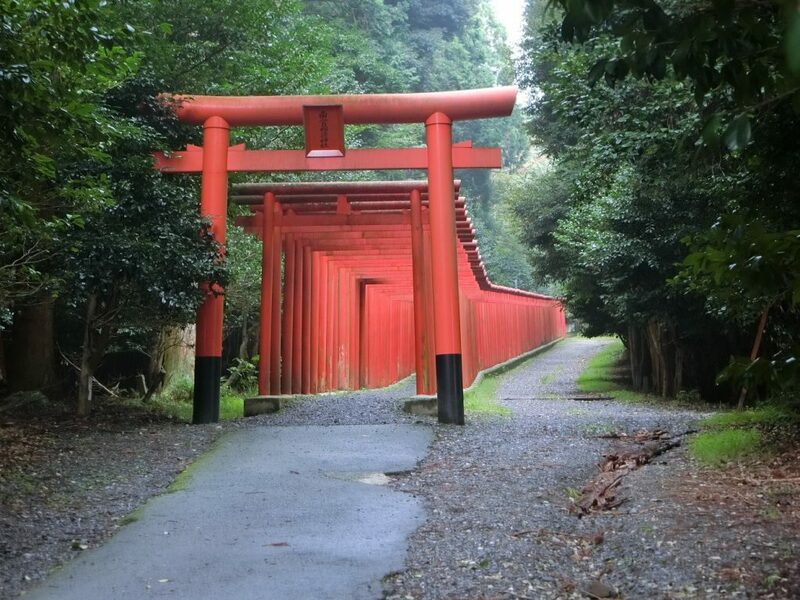 Nothing to really indicate the reason for the huge torii gate. 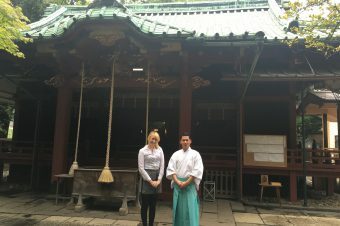 When I arrived at the shrine, I was ushered in to have an interview with the Chief Priest Mr. Utsunomiya. I was not disappointed about the religious significance. Readers know a large battle was fought at Sekigahara, just west of Tarui, in the year 1600. However, the battle was the last in a series of battles fought at Sekigahara. Several major land transportation routes intersect in the area. The Mino Kaido merges with the Nakasendo at Tarui. The Nakasendo, Ise Kaido and Hokkokudo roads intersect at Sekigahara. Control of Sekigahara therefore meant control of commerce. Another famous battle fought at Sekigahara was Jinshin War, a succession struggle which took place in 672 following the death of Emperor Tenji. Emperor Tenmu was the eventual victor of the conflict. As a result, the area was named Fuwa (undefeatable) County and Fuwa also became a popular surname for the people living there. For example, Yatari Fuwa, General Hanbei’s most famous retainer. Finally, a third major battle fought at Sekigahara was during the Nanboku-cho (Northern and Southern Courts period) era. Akiie Kitabatake, from the Tohoku region, was a court noble supporting Emperor Go-Daigo (Southern Court). Lord Kitabatake was ordered by Emperor Go-Daigo to come to the aid of the Imperial army in the south of Kyoto. Lord Kitabatake led his forces slowly south, fighting the Northern Court in many battles. He occupied Kamakura, then pressed south to Nara, fighting a major battle with Lord Yorito Toki at, guess where, Sekigahara. Pretty much any military force from Eastern Japan wanting to enter Western Japan has to pass through Sekigahara, hence the many battles fought there. Along with human imposed calamities, the region is a source of Nature based calamities. Immediately northwest of Sekigahara is a very high mountain called Ibukiyama. 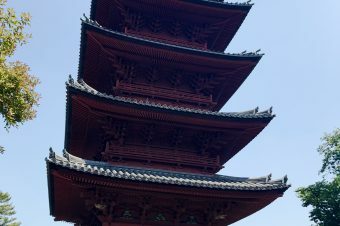 Ibukiyama is the source of the dreaded Ibuki-oroshi, a strong wind which sweeps down from the mountain to wreak havoc on the fertile Mino Plains. The modern days cities of Gifu and Nagoya are most affected by the Ibuki-oroshi. 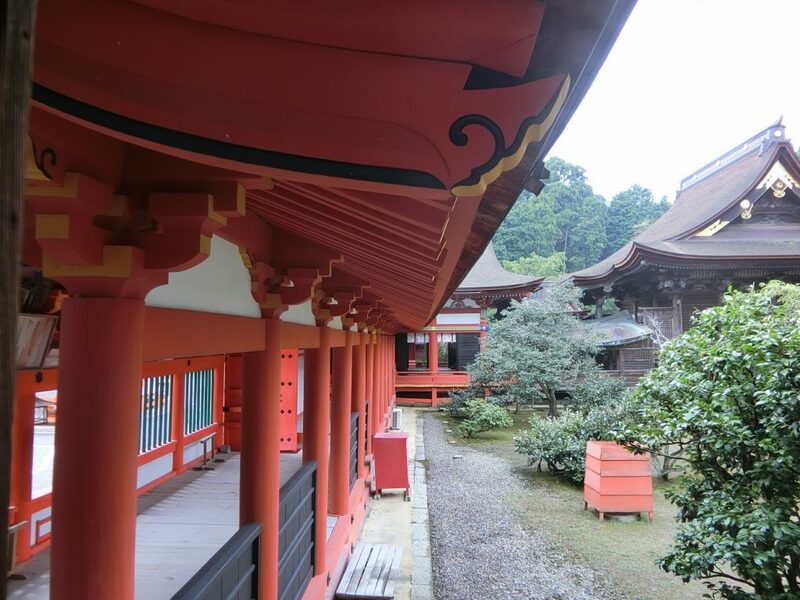 For these historical and natural reasons, Nangu Taisha plays an important role in maintaining the peace and stability of the Mino region. 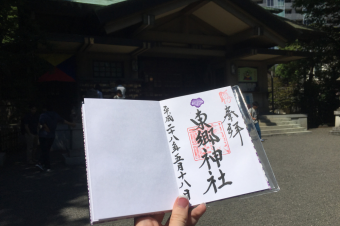 It is the Ichi-no-Miya, or primary shrine, for the Western Mino region. Befitting its status, the current Nangu Shrine is absolutely gorgeous. Upon arriving at the main entrance, visitors might notice a small office building and a designated parking spot off to the left. 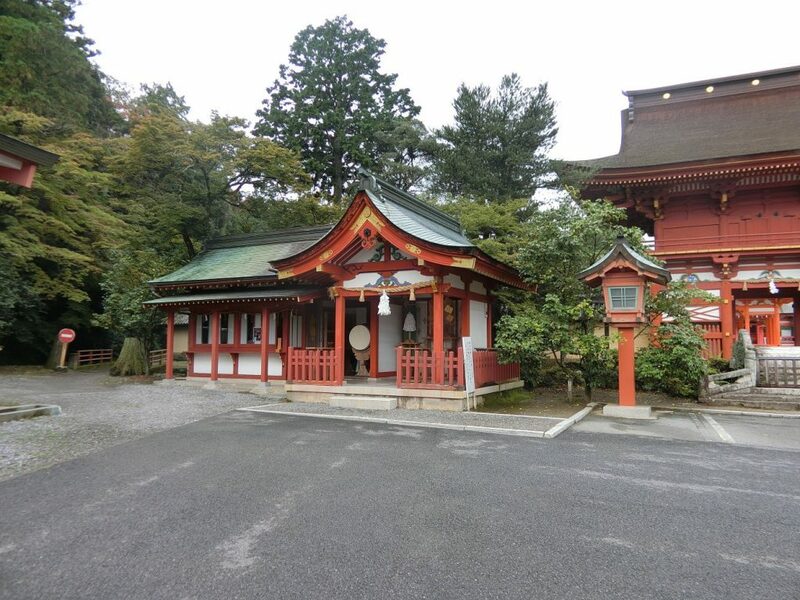 This is where people bring their cars for “oharai” or purification, which is a combination of exorcism and blessing. Yes, even in modern day Japan, this car purification ritual is very popular. And effective, I might add. A lot of my gearhead buddies swear by the process. When one of my cars developed a series of problems (to include one life threatening issue) during a short period of time, my friends suggested I take my car in for an “oharai.” While they suggested Hakone Shrine, being a long-term resident of Kamakura of course I would not consider any shrine other than Hachiman Shrine, home of Kamakura’s guardian deity. It worked! No more major issues! But, I digress. Once one enters the shrine proper, one is met by an awe-inspiring spectacle. 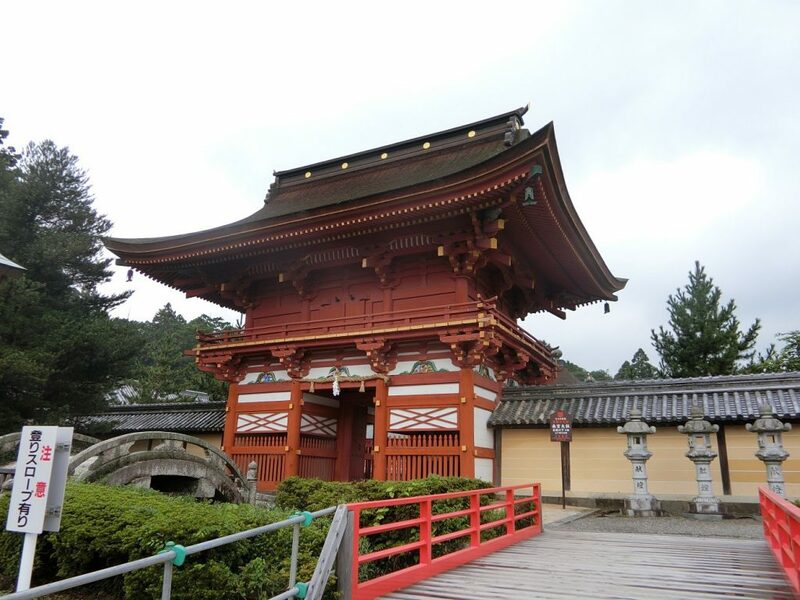 I will let the pictures speak for the splendor of Nangu Taisha. People may notice the many knives, agricultural tools etc. displayed about the temple. 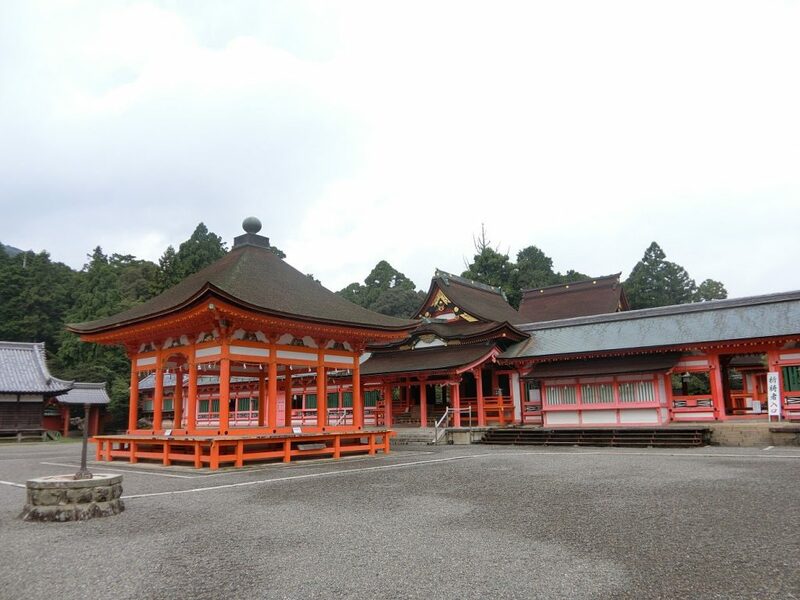 This is because Kanayama hiko no Mikoto, the Japanese god of metals, is enshrined at Nangu Taisha. The surrounding hills are full of iron ore and so many swordsmiths flourished here. There is a festival for swordsmiths, which is celebrated every November 8th, and many swordsmiths would bequeath swords to the shrine. 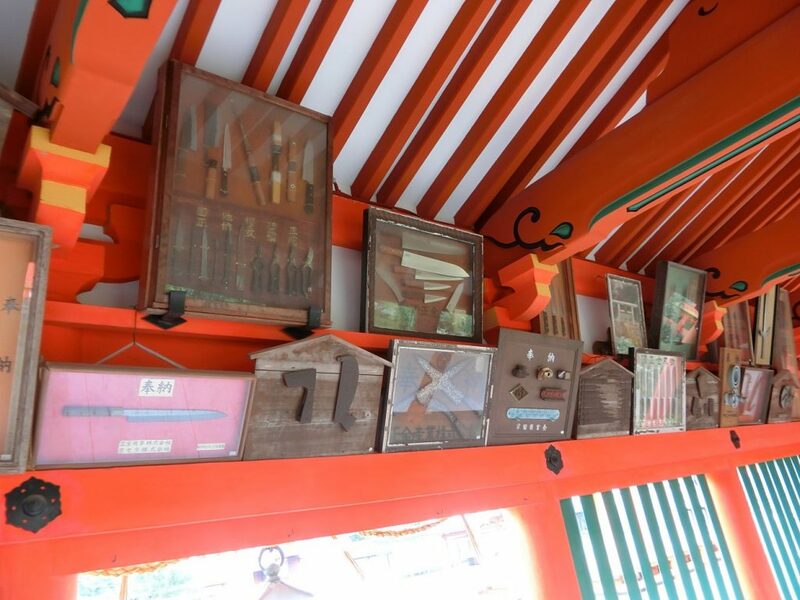 Starting in the Meiji era, companies producing other steel implements adopted the custom of bequeathing samples of their products to the shrine, hence the large number of steel implements decorating the walls of the shrine buildings. The goshinboku (Sacred Tree) is the Tsubaki, or Camellia. There are several varieties at Nangu Taisha, so camellia flowers can be viewed in April and November. 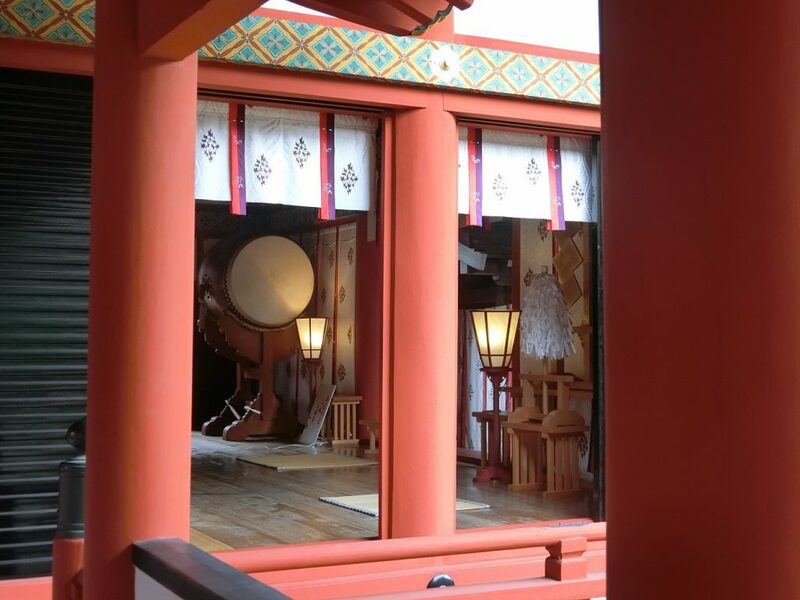 In addition to Nangu Taisha proper, there is another “must see” on the premises. Exiting the shrine compound by the entrance to the left of the main pagoda, one comes upon a paved road leading uphill. 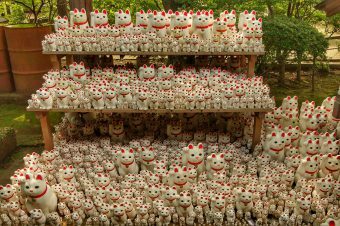 The road is well worth taking, because after about a five minute walk you will see a tunnel comprised of around 100 small torii gates leading to an Onari (fox deity) shrine. Very picturesque.